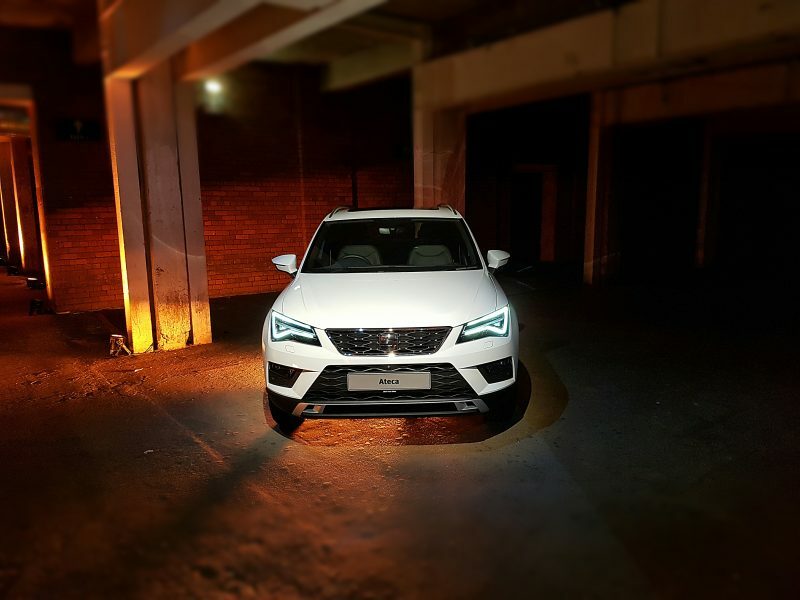 Back in 2016, Spanish brand SEAT launched its first ever SUV, the Ateca. 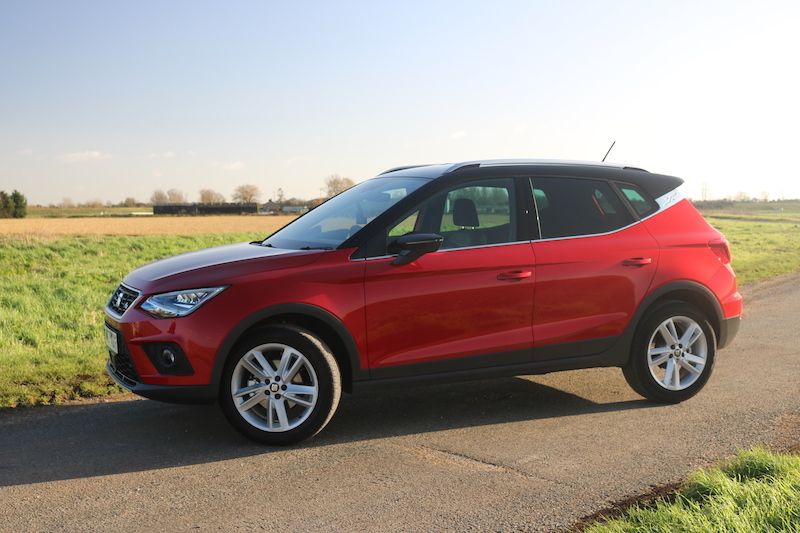 Since its launch, it’s safe to say it’s done rather well, but can that be followed up with the new SEAT Arona? The new model is based on the new Ibiza, a car which impressed me when I drove it last year, it’s 99mm taller and it’s 79mm longer too. 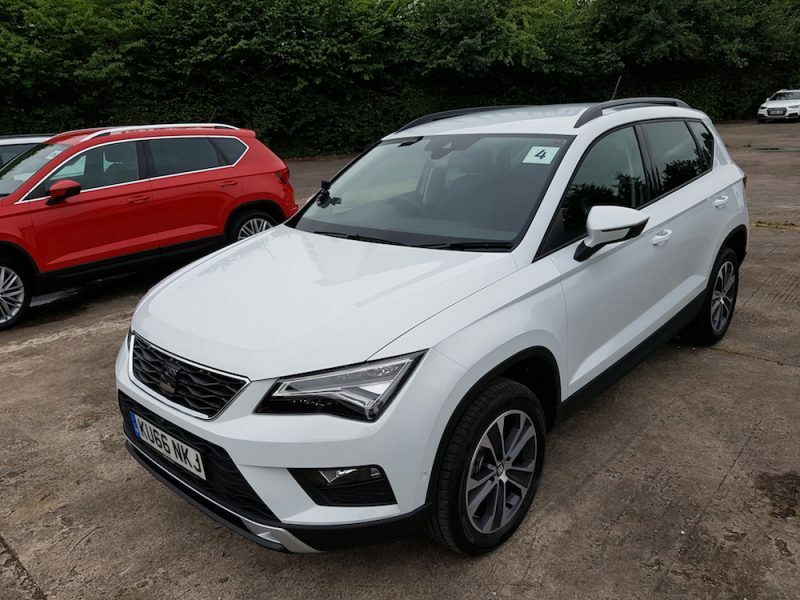 SEAT has a long tradition of naming its cars after Spanish towns/cities, and the Arona is no exception. Arona is a town on the sun-kissed island of Tenerife, which I’m sure is a damn sight warmer than the centre of Cambridge which is where I happened to be driving. 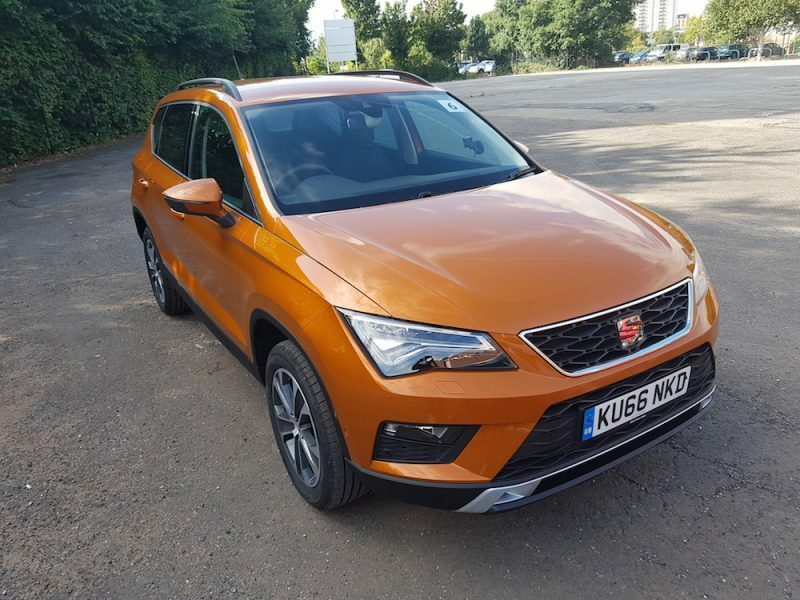 In a bid to make the buying experience simpler for customers, SEAT has designed the buying choices in to three sections; trim, engine and colour. Yes, it really is that simple. 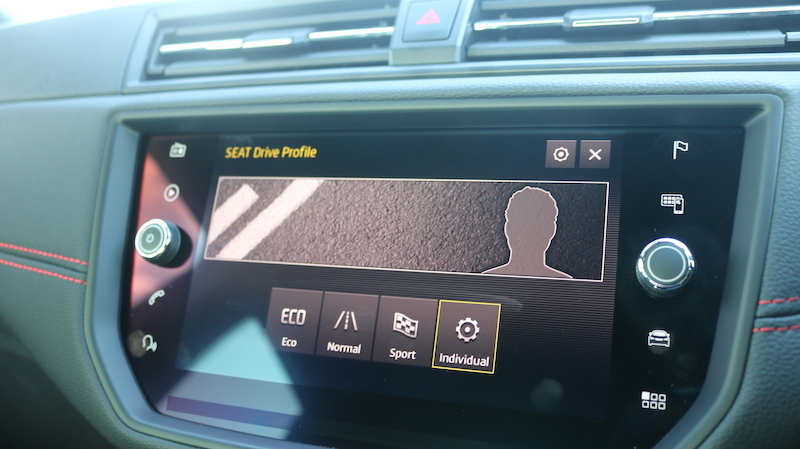 SEAT has tried to ensure that the most important features are as standard. For example the SE Technology – one up from the base model – is able to offer features such as navigation and wireless phone charging to name a few. 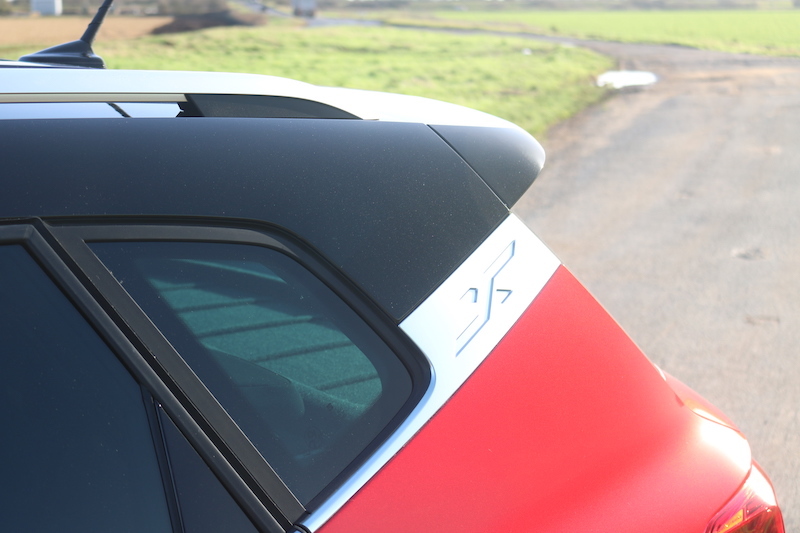 Another impressive feature for the new Arona is that metallic paint comes as standard, as does the two tone roof, whereas other brands would charge you extra for this. 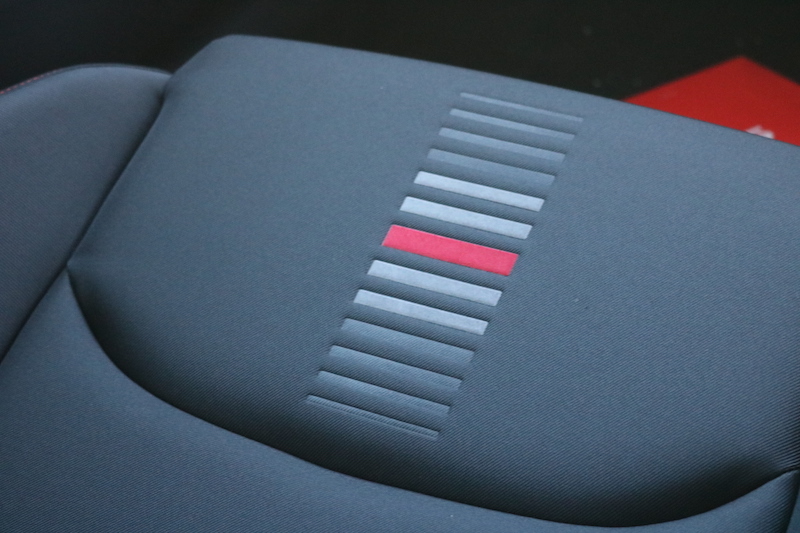 This, SEAT says, will give the car a better residual value, which will be attractive to buyers. Speaking of attractive, the Arona is available in a choice of up to 30 colour combinations, so you can’t complain about lack of choice. 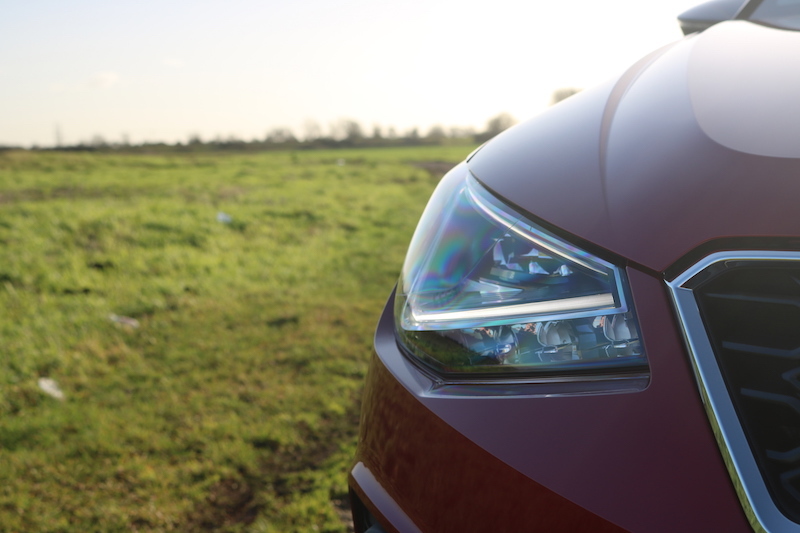 The engine range is almost a carbon copy of what is available for the Ibiza, only the 74bhp naturally aspirated petrol and the 79bhp diesel have been excluded. What’s left over is a 1.0 turbocharged petrol which offers either 94 or 113bhp, a 1.5 litre turbocharged petrol which offers 148bhp, and there’s a 1.6 litre turbocharged diesel that offers either 94 or 113bhp – same as the 1.0 litre petrol. Those looking for power should go with the 1.5 litre petrol as that is able to crack 62mph in a respectable 8.3 seconds and offers a top speed of 127mph. If you want economy however, then have a look at the less powerful diesel, which offers 76.3mpg on a combined run with 105g/km of CO2 emissions. A 5-speed manual is used for 94bhp petrol and the 113bhp diesel, whereas the 113bhp petrol and the 94bhp diesel are mated to a 6-speed manual or a 7-speed DSG. The 1.5 litre petrol however, comes with a 6-speed manual only, not that I’m complaining. 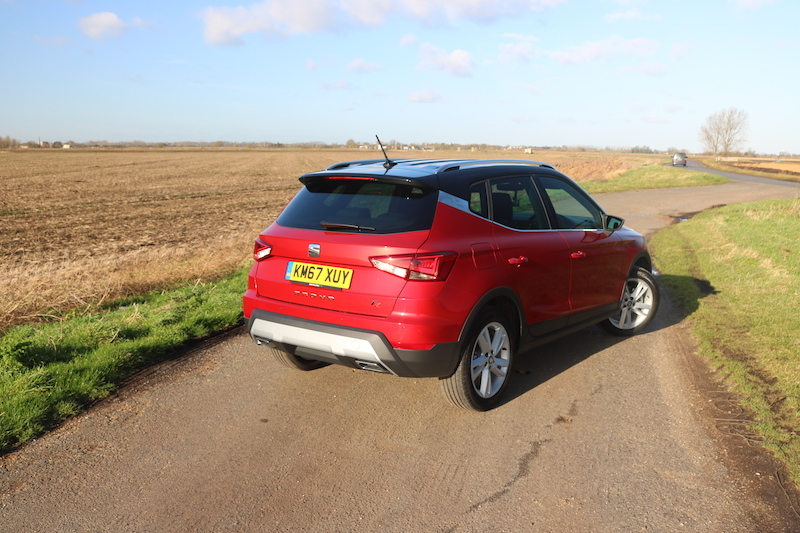 Priced from £16,555, the new Arona is a little more than most of its rivals, of which it has many, but it does come with good level of kit. 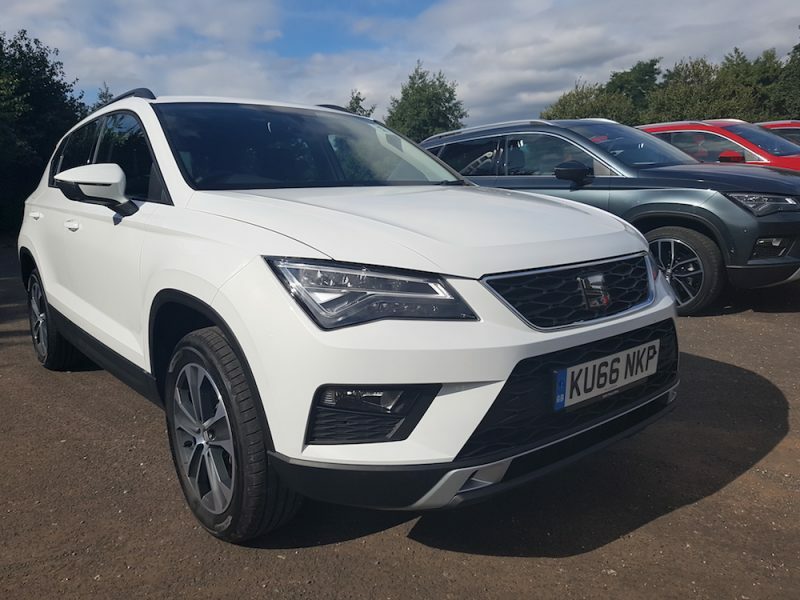 The base model – SE – comes with goodies such as 17″ alloy wheels, LED daytime running lights, Front Assist, 5″ colour touchscreen with DAB radio and Bluetooth, cruise control, air conditioning and a two-tone roof. 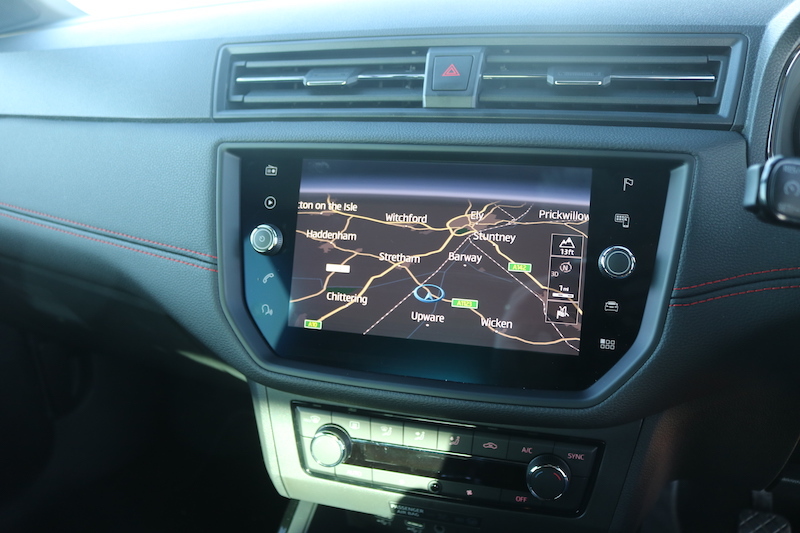 The SE Technology is priced from £17,545, adds features such 8″ colour touchscreen, sat nav, wireless phone charger, smartphone connectivity and rear parking sensors. 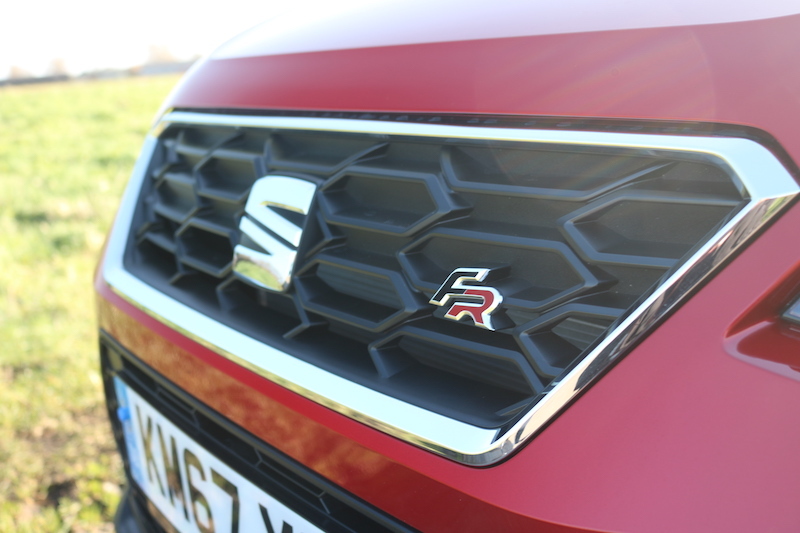 FR (£19,985) and FR Sport (£20,665) make up the sporty trims with the former offering sports seats and sports suspension, Full LED headlights, SEAT drive profile and tinted rear windows. The latter however, adds to this with 18″ alloys, alcantara upholstery and dynamic chassis control. That leaves the two XCELLENCE trims completing the line up. XCELLENCE is priced from £21,040, offering 17″ alloys, blind spot monitoring, keyless entry and rear cross traffic alert, whereas XCELLENCE LUX is priced from £22,095, and is able to add 18″ alloys, alcantara upholstery, park assist, rear view camera, SEAT drive profile and front parking sensors. There were also two special editions from launch – SE Technlogy First Edition and XCELLENCE First Edition. Is It Spacious, Is It Safe? Yes, is the simple answer to both of those. To elaborate though, space in the front is good and at no point did I find any issues there, and the space in the rear is decent as well. Legroom for my 6’2″ frame was decent although I wouldn’t say it was class-leading, and the headroom was more than agreeable too. 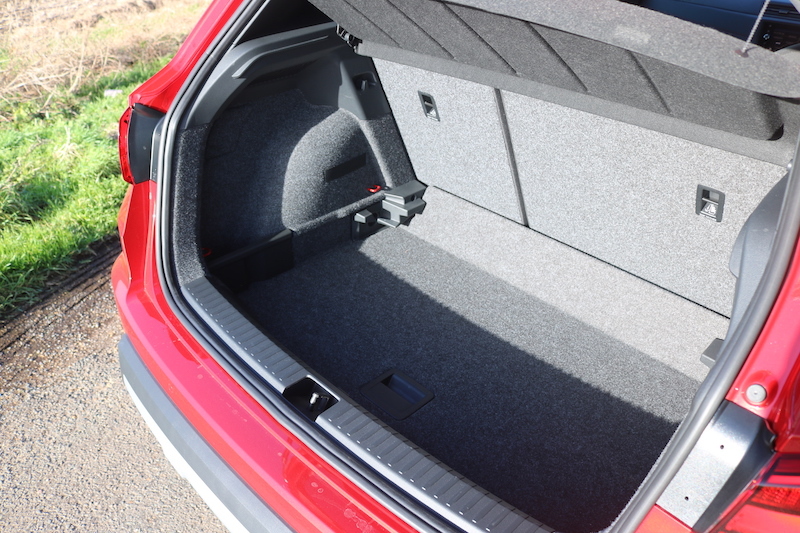 The boot is a generous 400 litres, which should be enough for most family activities, although a car such as the Citroen C3 Aircross is able to offer 520 litres. Mind you, it’s 36 litres than the Nissan Juke, which has been the benchmark in this segment for quite some time. If you do need more room though, then you can fold down the 60/40 rear seats to give you an increased capacity of over 850 litres. In regard to safety, you’ll be happy to find out the Arona was able to get full marks in the Euro NCAP safety tests, and even the base model comes with autonomous emergency braking and multi-collision brake as standard, as well as plenty of airbag protection. Step up the trims and you’ll be able to enjoy features such as blind spot monitoring and rear cross traffic alert for even more safety. The new Arona is built on the same platform as the Ibiza – VAG’s MQB A0 platform if you’re really interested – meaning that it ought to drive pretty well – and it does. On the day I drove both the FR and the SE Technology, but seeing as I spent a longer stint in the FR, let’s start there shall we? Fitted with the 1.5 litre engine producing 148bhp with 250Nm of torque. 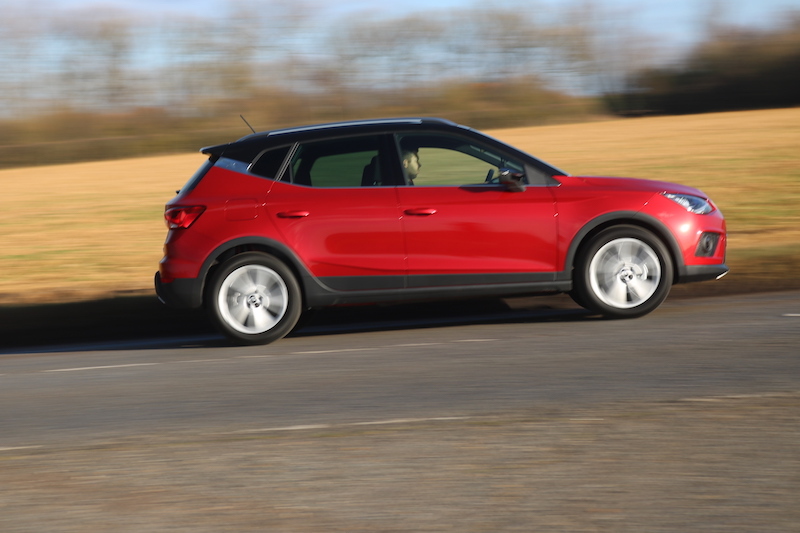 This power is fed to the front wheels – all Arona models are two-wheel drive only – via a 6-speed manual gearbox. The power delivery is strong and working my way through the gearbox was a delight as each gear slipped in to place like a hand slipping in to a perfectly fitting glove. 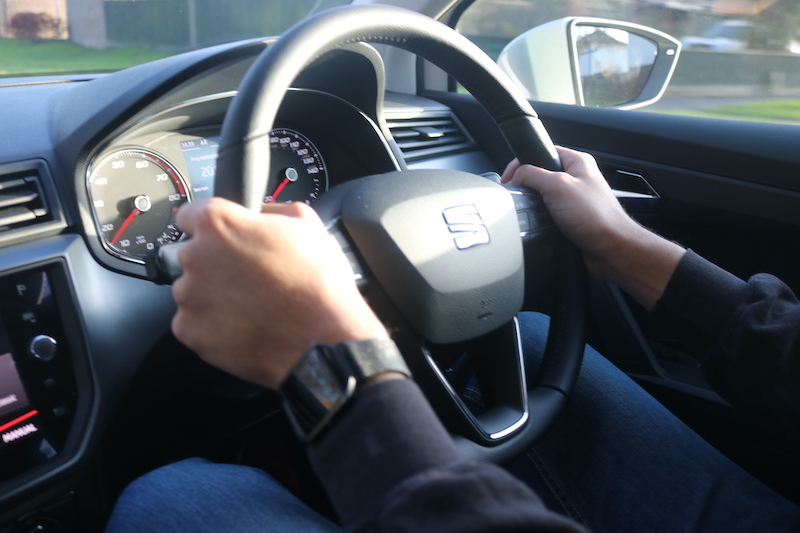 The steering has got a nice enough weight to it, but I preferred the heavier feel offered by the ‘sport’ driving mode as it just feels a bit more natural for the car’s character. The driving position was bang on for me, and I like the fact that the driving position felt quite low, but at no point did I want more for more visibility. In fact, I found visibility around the car to be more than suitable but I’m afraid I cannot fully comment on refinement. 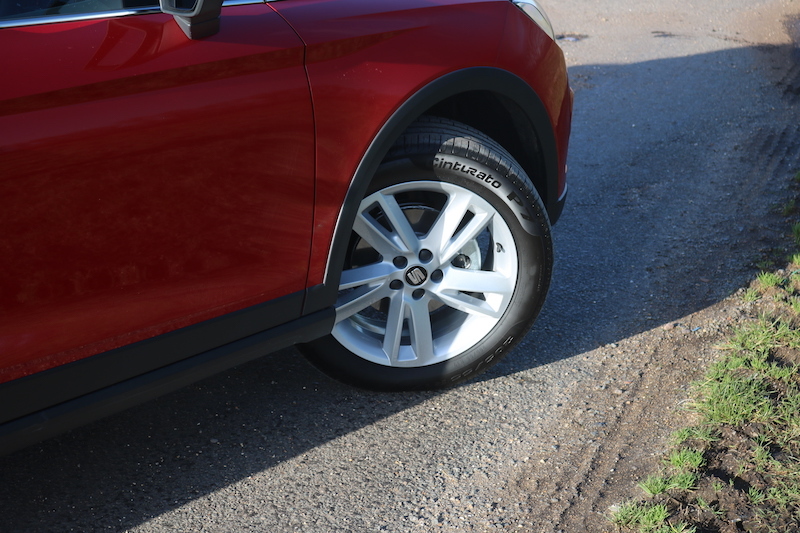 This is because there were gale force winds in the area so the wind noise was constantly noisy, but I can report that there was a bit of tyre noise from the 17″ wheels, but it was never intrusive. The cabin is laid out well and feels well put together, but it is a little bland in my opinion, especially in the case of the SE Technology I drove later in the day. 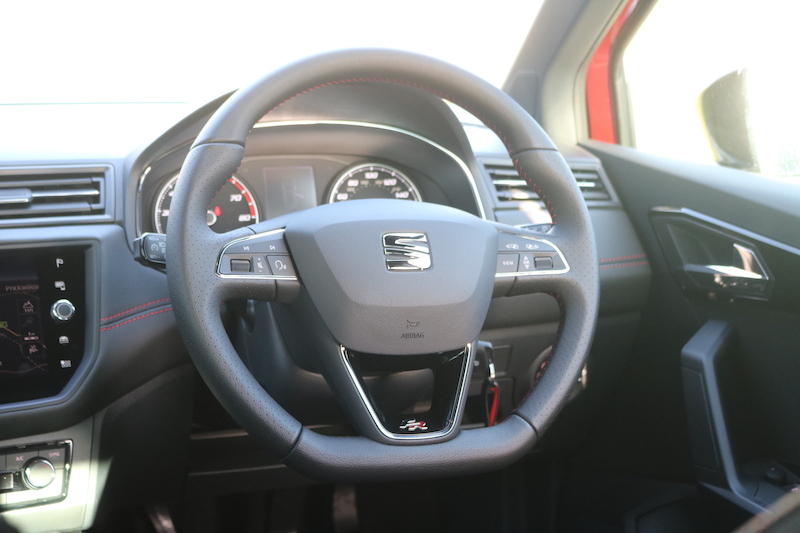 There are also more hard plastics than I would have anticipated, but at least with the FR you get a sporty steering wheel, red stitching and some nice leather touches on the dash and door cards. The sports seats are nice to sit in too, but my passenger and I would have liked a bit more support for thighs as our legs were flopping about a little whilst cornering. 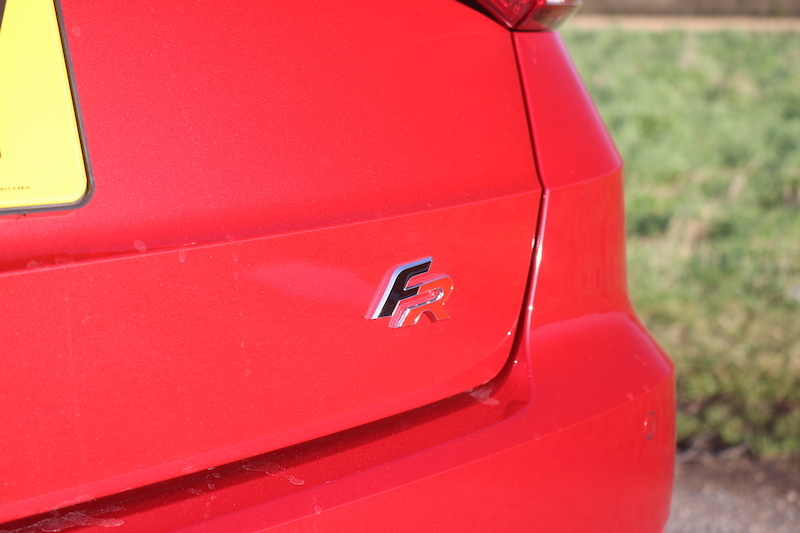 Speaking of which, the FR, thanks to its sports suspension is more than capable in the bends but that’s not to say the softer SE Technology handles like a ship in a storm. It’s worth noting that even without the sports suspension the Arona has suspension set up that’s on the firmer side, but at no point would I describe it as uncomfortable. Because of the firm setup, there is little body roll in the corners and it feels nimble too. In fact, it’s only 74kg heavier than the Ibiza on which its based on, but that will vary dependent of model and engine of course. I was never wanting for more grip either, and I wasn’t able to detect any alarming understeer either, plus the brakes were as crisp as the winter sunlight pouring in to the car. This means you have an overall package that is bound to be one of most dynamic in class, as well as the best looking. Before I wrap up, I just want to share my thoughts on a quick drive I had in the SE Technology. It was fitted with the 1.0 litre 113bhp petrol, which was mated to the 7-speed DSG. The performance of the engine was still nippy enough to use, and it’s not as slow as the power output would lead you to believe. This is likely to be the best selling engine, and I can see why. Not the most glamorous shot, but I’m afraid time was against me! I personally wouldn’t mate it to the DSG gearbox though as I found it a bit slow to pick up and I felt it didn’t suit the character of the car nor the engine. I have not driven the 1.6 litre diesel, but I feel the DSG would be better suited with this engine. On a more picky note, I found the steering wheel in the SE Technology to feel a bit cheap in the hands, and it would be nice to have a colour TFT screen as opposed to a black and white one, but this are minor things in the grand scheme of things. After being impressed by the new Ibiza last year and the new Ateca the year before that, I had nothing but high hopes for the Arona. I’m happy to report that it’s able to meet those, thanks to its sharp looks, handling to match and a decent level of kit. The fact that metallic paint is standard as well also make what was already an attractive car even more so. 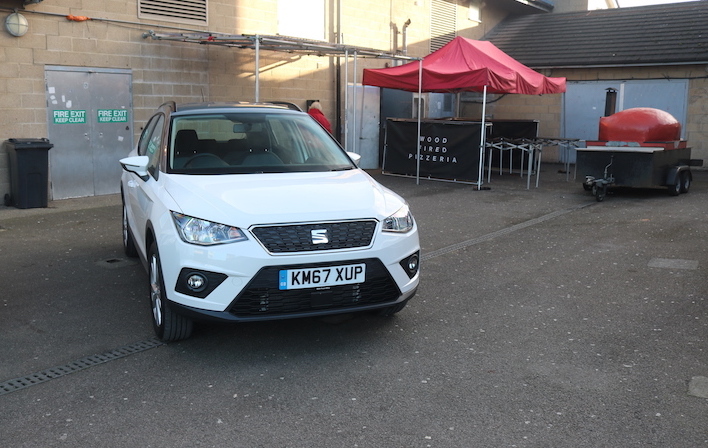 It goes without saying the market the Arona is entering is busier than a pub on a Friday night, but I can see no reason why this latest offering from SEAT isn’t able to to muscle its way to the queue to order a pint. Or maybe that should be a Sangria, considering the car’s Spanish.